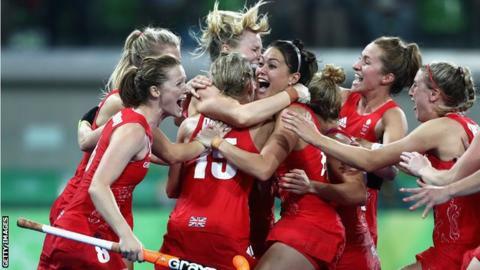 BBC Sport have agreed a deal with UK Sport to stream more Olympic and Paralympic sporting events online. Last month, the BBC announced plans to broadcast more than 30 additional sports or sporting events. And now events such as the 2018 Women's Hockey World Cup, 2019 Netball World Cup and 2019 World Road Cycling Championships could be shown. "We are taking our commitment to a completely different level," said director of BBC Sport Barbara Slater. "We are going to be streaming more live sport for more people, across mobile, computers, tablets and TV. "We will be working closely with UK Sport to ensure the major events they support in the UK reach the biggest possible audience." UK Sport is investing £30m over the next eight years to bring some of the world's top sporting events to the country and the partnership will allow those events to be broadcast. BBC Sport is providing technical and editorial support.